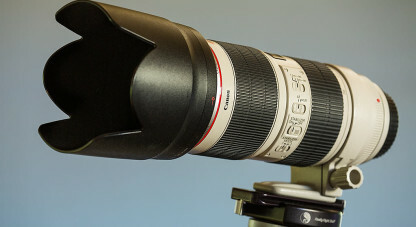 The Canon 70-200L f/2.8 IS USM II lens was introduced in 2010. The lens it replaced was a very successful design that was almost nine years old. However, the new lens and the old lens are very similar in size and shape, and quite difficult to tell apart at first glance. The new lens is substantially more expensive than the older one, and it is only upon deeper inspection that you understand why there is such an upward jump in the cost of the new model. This latest fast zoom from Canon is a completely new design and it is built to outperform the older lens in every aspect. Starting on the outside, the metal body has been made stronger by the use of new construction technologies. On two occasions my older 70-200 f.2.8 IS I had to be taken to a service centre to have some internal screws tightened. This never affected the operation of the lens but it was a bother to get it fixed, especially when I was based in the bush. So far the new lens is showing no sign of anything similar happening to it. The switch panels have been slimmed down and set a little tighter against the lens body. They are now less likely to get bumped accidentally onto the wrong settings, as used to happen sometimes with the old lens. The new focus ring is wider than the old one, making it easier to operate even with gloves on. At the end of the lens is a newly designed lens hood, with anti-reflective flocking lining inside it. The new hood locks into place with a spring-loaded lock, and is much more secure than the old version, which used to screw into place but tended to get looser with time and wear, to the point where I often had mine fall off inside my camera bag. The new hood doesn’t rattle, or come loose at all until you unlock it. This is a real-world improvement and a very necessary one. 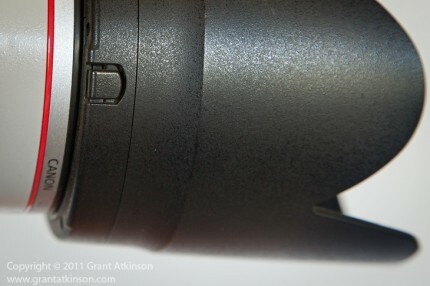 Inside this new lens barrel there are lots more changes. The aim of the internal redesign is to improve the image quality of the lens, and allow it to keep pace with the new super-fine pixel pitch sensors and the increasing resolution they demand. The new lens still has a 23-element design, but the big news is that 5 of the elements are now made of UD (Ultra Low Dispersion) glass, compared to only 4 in the old design. Also important is the inclusion of one fluorite element in the new lens, whereas the old version had none. Flourite and UD lens elements are highly effective at combating chromatic aberrations amongst other things. Both of these materials are more costly than regular optic materials and clearly their inclusion has added to the higher price. 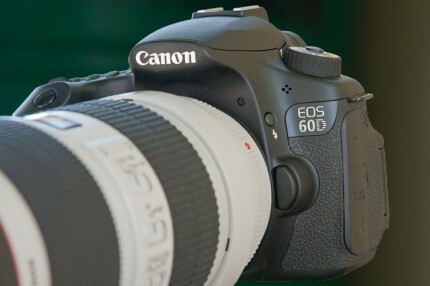 The new lens also has a four-stop image stabilization system fitted, which is one stop better than its predecessor. What the four-stop description actually means is that the new lens stabilization system will give the user a higher probability of getting sharp shots whilst hand-holding at even slower shutter speeds than before. 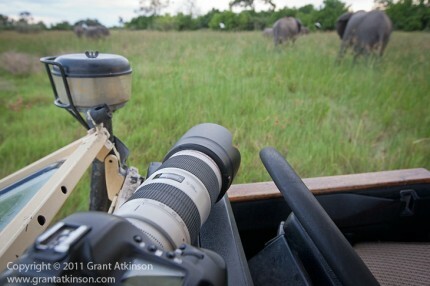 In use the new image stabilization system is quieter and works faster than before. Although it is interesting to know what has been changed on the new lens, what is more important to know is how it actually performs in use. I used the older 70-200f2.8 IS for five years on an almost daily basis. I found that first IS version very good aside from the aforementioned niggles of wobbly lens hood and exposed switch panel, both of which are things of the past with the new lens. All the moving parts are inside the lens barrel, which is typical of a lens in this class. This means the lens doesn’t change size or shape whilst zooming. This type of design is much better at keeping dust and moisture out than a telescoping design, whether push-pull or rotational. The lens is also built to Canon’s highest specifications of weather sealing, which means that you can rest assured that it as dust-proof and rain-resistant as you can get, although it needs to be paired with a suitably weather-sealed camera body to achieve this, like a 1D, or 7D. The focus ring and the zoom ring rotate very smoothly, and the entire lens just feels solidly reassuring to operate. This lens is built to last, and it shows in the way that it is put together and the way it works. Be aware that this latest 70-200 is quite a heavy lens, weighing in at 1490g, again fairly typical of this class of lens. The lens comes standard with a tripod ring mount, to which I have attached an RRS lens plate. This lens plate allows it to fit my RRS mount, which is attached to my tripod. The lens plate also gives me a good place to grip the lens when carrying it or lifting it from my bag. Whilst I never had sharpness issues with the old lens, this new one is even better. Even wide-open at f2.8 the copy I have is extremely sharp. This is very important for wildlife use as on many occasions the best activity of the day may take place in the low-light periods around dusk and dawn when the light is often very low. Whilst I don’t often choose to shoot at aperture settings of f/2.8 it can often become necessary to do just that, and it is comforting to know that the lens doesn’t suffer from sharpness issues even wide-open. When testing sharpness I found the lens gets even sharper from f/5.6 to f/8.0. The lens is well matched to the newer generation sensors with their fine pixel pitches. Contrast is excellent with the lens, and perhaps the simplest thing I can say about image quality is that it is very difficult for me to tell images taken with this lens from those that were taken with my EF 300mm L f/2.8 IS USM prime lens. That is high praise indeed. 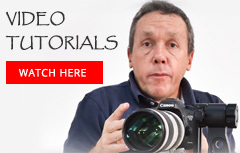 Autofocusing happens very quickly and very quietly. Again, in use this lens feels as if it focuses at least as quickly as the EF 300 L f/2.8 IS USM lens. This is a difficult thing to measure, as both lenses focus very fast. To explain how well it finds focus in another way, I find that when I am anticipating fast action like animals running, or jumping, I am as confident of getting sharp shots with this new 70-200 as I am with the fixed 300. This lens also has a very useful minimum focus distance of 1.2m which makes it useful for close-up photography, and the same as the EF 70-200 L f/4.0 IS USM in this regard. This lens suffers much less from flare than the old version, which happens when you get strong, direct light rays coming into the front of the lens. The flare occurs when these light rays are reflected from the lens barrel onto the image. There is some vignetting visible when used on a full-frame camera body like the 5Dmk3. 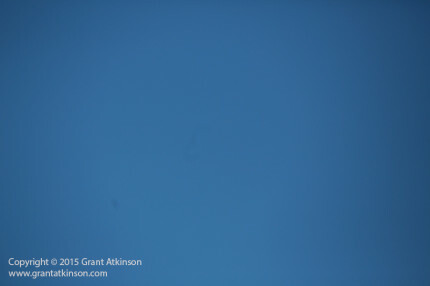 It is most visible at 200mm and wide-open at f2.8. Stopping down beyond f/4.0 reduces the vignetting substantially and by f5.6 it is virtually gone. On the short end of the focal length range, at 70mm, the vignetting is most visible wide-open at f2.8. 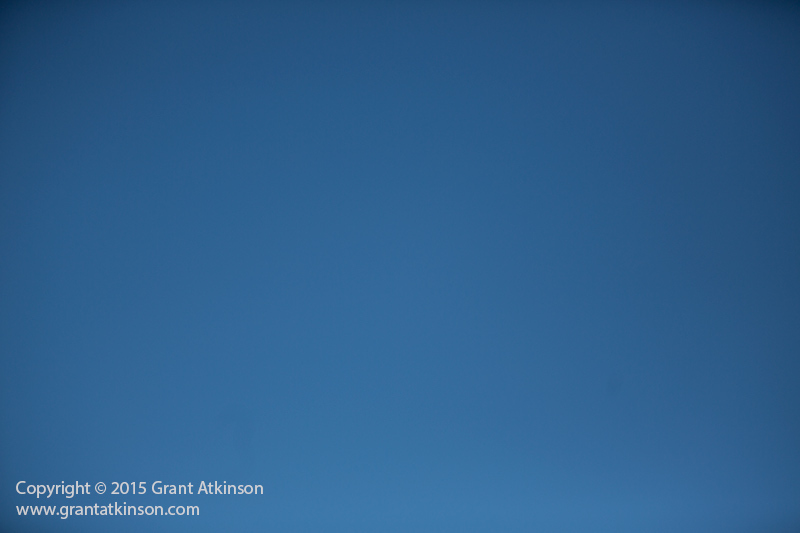 Again, stopping down to f/4.0 reduces most of the vignetting. By f5.6, the vignetting is mostly all cleared away. On a crop sensor body, whether the 1.3 crop of the 1D series, or the 1.6 crop of the smaller Canon DSLR bodies, there is no vignetting to be seen. Many folk like using teleconverters on this lens, and when the 1.4 converter is attached to the lens, you effectively end up with a 98 – 280mm f/4.0 lens. 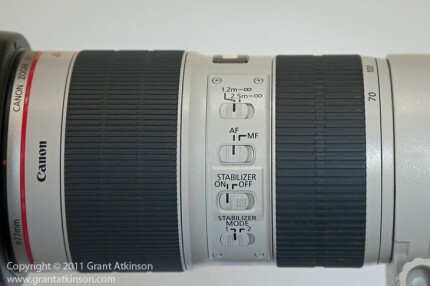 Adding the 2x converter creates a 140-400mm f/5.6 lens that will still autofocus on any modern Canon body. When used with a set of teleconverters, the new 70-200 f/2.8 makes for a very versatile setup. 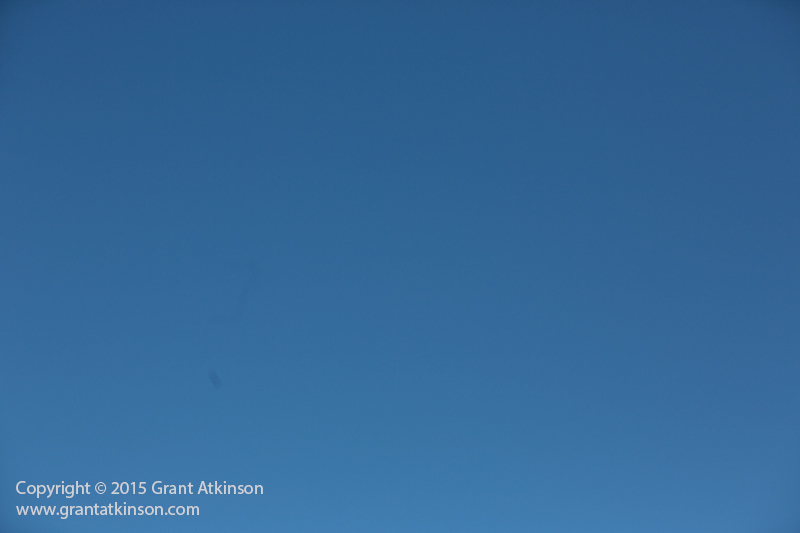 Autofocus is slowed down though, most noticeably with the 2x converter. I use this mid-range zoom for taking wildlife pictures on the following Canon camera bodies: 5Dmk3, 7Dmk2, 1Dmk4, 1Dmk3, 5Dmk2, 60D and a 40D and it performs brilliantly on all of those bodies. The lens is not really long enough for serious bird photography, but is an essential part of my gear for general wildlife photography. 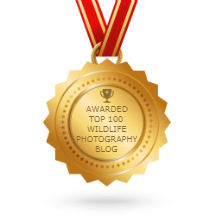 It is my main lens for taking images of animals in their environment, when I am looking to include habitat in my composition, and it is also my preferred lens for photographing marine mammals, especially when operating from moving boats. Although heavy, the lens balances nicely on the mid-range Canon bodies like the 7D, and even better so on the 1-series bodies. It is not so heavy that it cannot be hand-held for extended periods, and is short enough that it is easy to control. 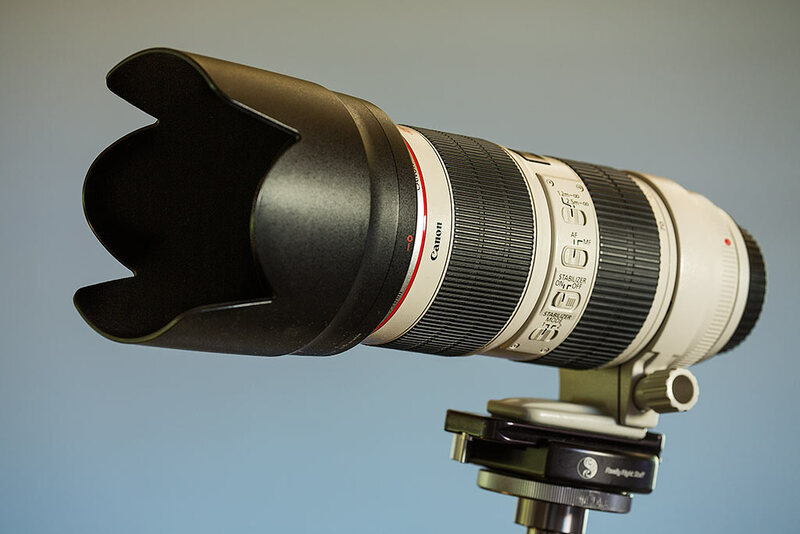 For those who find this 70-200 f/2.8 lens too heavy, too large or too costly, there is a very good alternative in the form of the Canon EF 70-200 f/4.0 L IS USM. The f/4.0 version weighs less than half the weight of its bigger brother, and costs around half as much. My wife and I own both lenses, and in use the f/2.8 is ever so slightly sharper at wide-open apertures, and also holds a significant advantage when shooting in very low light. The f/2.8 is slightly quicker to focus on fast-moving subjects, although the f/4.0 is no slouch in this regard. The f/2.8 lens also allows one to shoot with a shallower depth of field, and will break up the background more effectively than the f/4.0 can. If these differences are important for your shooting needs, then the f/2.8 is the best choice. If not, the f/4.0 is much lighter, and is altogether easier to handle, and in terms of image quality, is very, very close to the bigger lens. 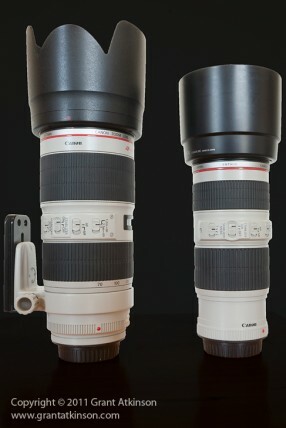 Both are excellent lenses. 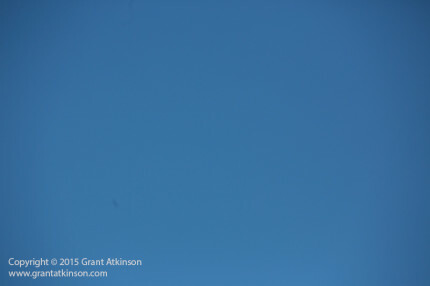 I have found nothing at all about this lens that holds me back when it comes to getting the kind of images I look for. The lens does exactly what I need it to do and does it well. It is an excellent piece of equipment and well worth its’ substantial price tag.